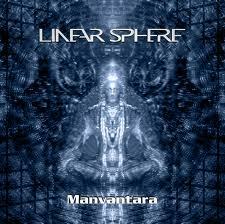 Though MANVANTARA is actually second release from United Kingdom based Progressive Metal outfit LINEAR SPHERE, I must admit that they are a new discovery for me personally. Before I even listened to the music within I was already drawn to this album for a couple of reasons. The main reason was that I know it was going to a Progressive Metal concept album, which I happen to like immensely, and also after a bit of a browse over the lyrics and then checking out the band’s website to get a better idea about the concept I was stunned at just how much detail has gone into the accuracy of the story. The concept is based around the HINDU astronomical period calendar, but also cleverly mixes this with the proposed end of the world 2012 Mayan prophecy. I’d really like to explain it a little better, but there’s no way that I could do it in such a short review, and there’s no way I could reel off the details as well as the band do on their website. If you want a better idea on the intricacies of the concept itself then follow this link to their website… http://linearsphere.com/discography/manvantara/. Let’s just say that for lovers of detailed lyrics and layered, cleverly written concepts MANVANTARA ticks a whole lotta boxes. Onto the musicality side of things then. Well, the band plays a very technical style of Progressive Metal with occasional Jazz Fusion-ish moments and also the occasional classic Progressive Rock moment too. It may sound like too much of an obvious comparison, but there is definitely a DREAM THEATER feel throughout the album, but mixed with the more Art-Rock leanings of Fish era MARILLION and some PINK FLOYD too. The vocals here are really odd to explain but they sort of sound like a half-way point between Bruce Dickinson and Fish for the most part, but lead vocalist Jos also throws out some metal growls and even a couple of nods to a more standard hard rock vocal approach. It’s a little hard to get used to at first, but as the album goes on, and after a few listens you come to realize that the unique approach here by Jos is one of the main reasons that the album has so much punch to it. As it’s such a strongly concept-based album it really is one of those releases that must be listened to from beginning to end each time, but like all albums there are a few really special moments that I found myself waiting for each time around. The first of these is the musical bridge section of opening track ORIGIN, where all of a sudden the song transitions from a really modern, heavy groove straight into a slightly heavy Jazz-Fusion section without any real break in between…It takes a special bunch of uber-talented musicians to be able to get away with something like this. Then there’s the slow, spacey intro to title track MANVANTARA that gives off a real MARILLION vibe before once again giving way to a nice heavy patch. Then you’ve got CYCLE OF AGES, clearly my personal favourite track on the album. It begins with what I can only describe as a very Pink-Floyd-esque guitar lead intro which flows into a minute or so’s worth of spoken narration that really drives the concept home then eventually opens up to some DREAM THEATER type modern prog metal. The rest of the album has its special moments too like the more aggressive vocal instances in INNER FLAME, the lyrically heavy RESET REALIGN and also the way that closing track THE DAWNING really brings everything together for an epic ending to a very satisfying bunch of songs. In case you can’t tell from my review, I’m quite smitten with MANVANTARA, and let me tell you that this release has forced me to think that LINEAR SPHERE are amongst the top Progressive Metal acts going around at the moment. Fans of any type of progressive music, and those who enjoy a meaty concept will love this album. PANTERA, LAMB OF GOD and early MACHINE HEAD fans listen up!! The debut album from up and coming Aussie metallers DECIMATUS may well just be the best thing you hear this year. That may be a bold statement, but it is one I am more than willing to stand by. It’s always stunning how fast time is passing by. Five years ago the Nelson brothers Matthew and Gunnar started their big comeback with their album “Lightning Strikes Twice”. So talking about their forthcoming record “Peace Out” you could easily say this is a second comeback. They describe the new effort as “return to the traditional Nelson sound and “their future classic”; so let’s see if this is the truth or just PR rubbish. Heavy Metal is not only what they play, according to their press sheet they even live it ! And who am I not to agree with them.